As you've probably noticed, I've been OBSESSED with these protein balls for weeks now! I'm already on my fourth or fifth batch because they are just that good. I've tweaked the recipe a couple of times as I've figured out what works best to hold them together and what we like best in them, so here is the recipe! Mix everything together and scoop into bite-sized balls. 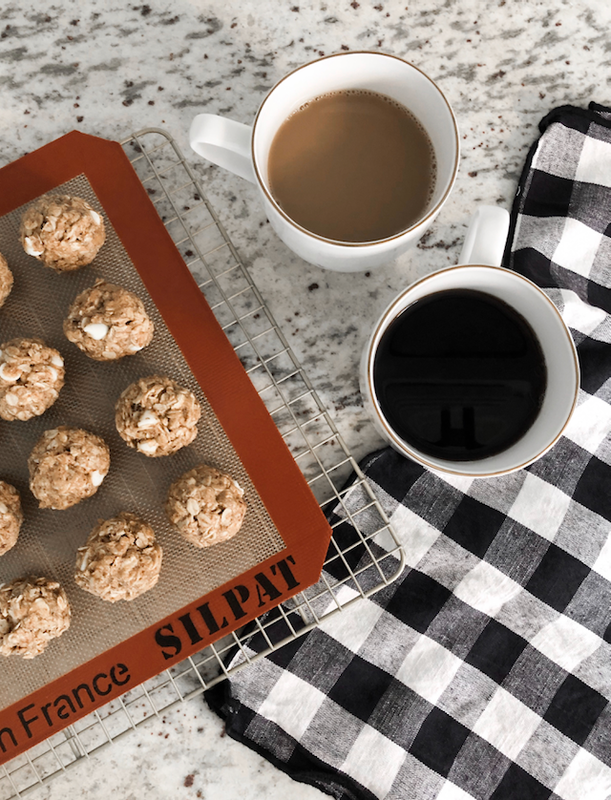 Place on a cookie sheet (cover sheet with wax paper or a silplat) and place in the refrigerator for about an hour. Finally, store them in a container and keep refrigerated. That's all - they only take about five minutes to make and they're so good with coffee in the morning or even as a dessert before bed! J and I have SO much to do this week to prep for something really exciting we have in the works for next week, so I may be a little MIA this week on here + Instagram! Ya know, I like to call things for what they are and tell you upfront that I'm most-likely going to be bad at keeping it all together this week. Haha, BUT I can't wait to share with you what we have going on really soon! In the meantime, I'm working on the 'Capsule Closet' blog post and our big Chicken Coop reveal to post (FINALLY) really soon!! I love these protein balls! I definitely need to check these out!